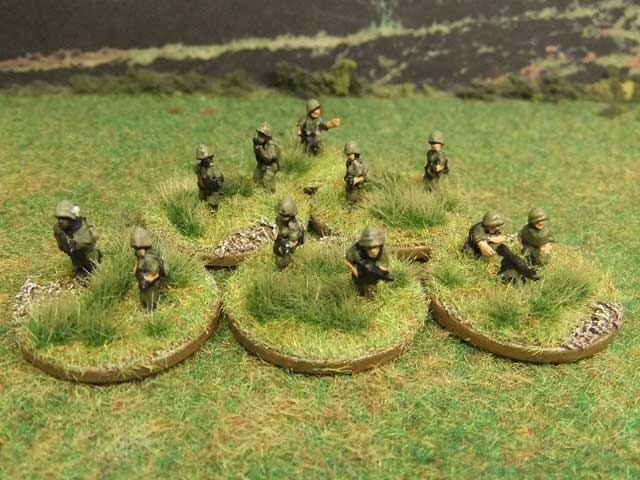 US Platoon now finished. It’s organised into three squads each of ten men, one with an M60 LMG and one with an M79 grenade launcher. By having five stands of two and one of three I can have any number of troops between 2 and 10 on the table at once. All Pendraken 10mm V1 (Officer pointing M16 helmet), V2 (Riflemen standing M16 helmet), V3 (Riflemen walking M16 helmet), V5 (M-79 grenadier, helmet) and V6 ( M60 machine gun team on tripod helmet). In the back row there’s a single V4( Riflemen running M16 bush hat). V6 ( M60 machine gun team on tripod helmet). 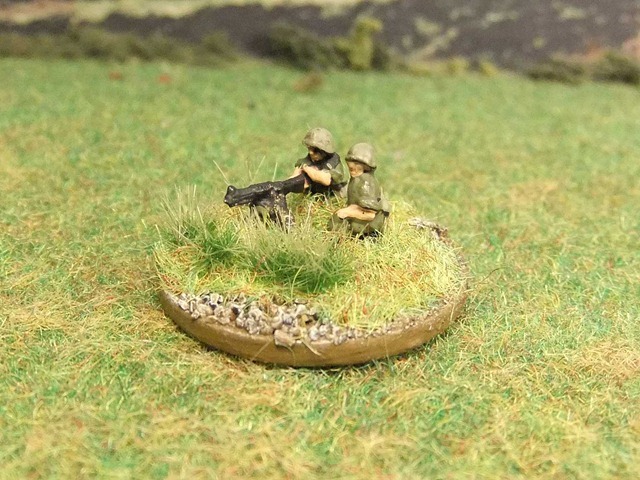 I’m not really happy happy this model as all the pictures I’ve seen of the M60 in action in Vietnam have it on the bipod – but Pendraken don’t do an appropriate model. 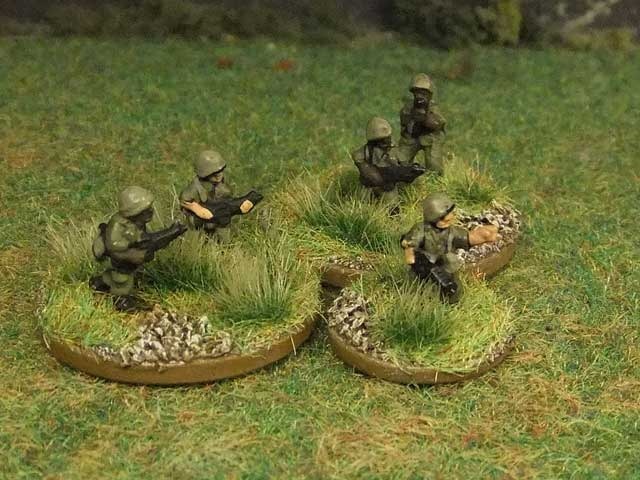 I could use AV11 (Infantryman standing M60) from their Australian range, but that would mean having figures in helmets and figures in bush hats in the same squad. This is another thing I haven’t seen in pictures. I’ve talked about this in the Requests section of forum and they’ve added them to their request list. I guess time will tell and in the interim I’ll just use V6.